Do you ever struggle with tracking a line of print across the page? Have you ever wanted to read in the car, but the sunlight coming in the windows, even on the other side of the car was just too bright on the page? Maybe you or your child has Dyslexia, or suffers from visual stress when reading. These are all common reasons why people try out the Reading Rulers from Crossbow Education. These nifty rulers come either with duo wondows or a plain ruler, in your choice of 10 colors. NOTE: the color that works best for you when reading may NOT be your favorite color, so be prepared to try out the different options. 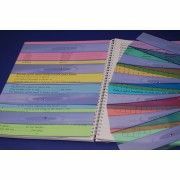 We received a package of ten "eye level reading rulers" in the following colors: yellow, celery, grass, jade, aqua, sky, purple, magenta, pink, and orange. While neither of our daughters has dyslexia, I knew they had been suffering some visual stress issues and wanted to see if these would help. I was also curious to see if they would make any difference for me. I don't have any tracking issues, but do sometimes have problems with glare. Open the package, get a page of black and white type, pick a color. Even I noticed the huge difference the color choices made in our ability to easily read the page. None of us particularly cared for the magenta, although Em mentioned it might be good for one of those secret spy messages you sometimes see on the back of the cereal box. Each of us tried each of the ten colors. Some were quickly set aside, others tried more than once until we settled on our favorites. Guess what? Between the three of us, we like 4 different colors. Em chose purple the first time through and has stuck with it. Arlene goes back and forth between the orange and sky ones, and I chose...grass. Arlene went back and forth between the orange and sky colored rulers. She was the one I was hoping it would help the most. I know she often gets lost when reading fine print. She said they helped her with reading small print books. She also pointed out to me that if you flip them over, they're matte finish on the back. That reduces glare. This is especially helpful if you're reading in the car, or out of the front porch and the page just seems "too bright. "Yup, that helped me a lot! In fact, I'm using mine right now to keep track of my place in my notes while typing this review. Crossbow also offers the rulers without the middle line, just colored boxes. You could use these with any age reader, from Kindergarten on up. Our girls are 14 & 12. I am much older-LOL! If you're someone who struggles with glare, especially from your computer screen, you should check out their other products. They offer a "virtual" reading ruler, for either Mac or Windows computers. We didn't review this, but I found it while checking out their other products on the website. So, I hope by now you're thinking "Great, we should try those... but how much do they cost?" Not as much as you might expect. The ten color multi-pack is available for only $16.95 plus $2.95 shipping. If you're a school room teacher, or would like to bless one, they have 2 different options for colors in thirty packs for $46.95 (plus $4.95 shipping), one has the 5 most popular colors, the other has 3 of each of the ten available colors. If you're worried about them getting scratched, Crossbow offers cellophane cases $0.45 for 10. A small price to pay for a little protection when the reading rulers aren't being used. Crossbow has offices in the UK, and here in the US (North Carolina.) Their byline says "Reading Tools Anyone Can Grab." Many people may consider them a small company, perhaps not worth their time to investigate. Maybe you are skeptical. Don't be! The help their prodcuts offer...can be priceless! As members of the TOS Crew, we were sent a ten pack of mixed colored eye-level reading rulers in exchange for an honest review. We were not compelled to write a positive review. All opinions are ours. If you've been reading our blog for a while, you know that we have 2 favorite baking ingredients besides chocolate, pumpkin and apples. Yesterday I made a large apple crisp. It's almost gone. Today it was Arlene's turn to make bread. (Home Ec 101!) She asked me if she hurried and got the bread and her school reports done, could she make some cookies? 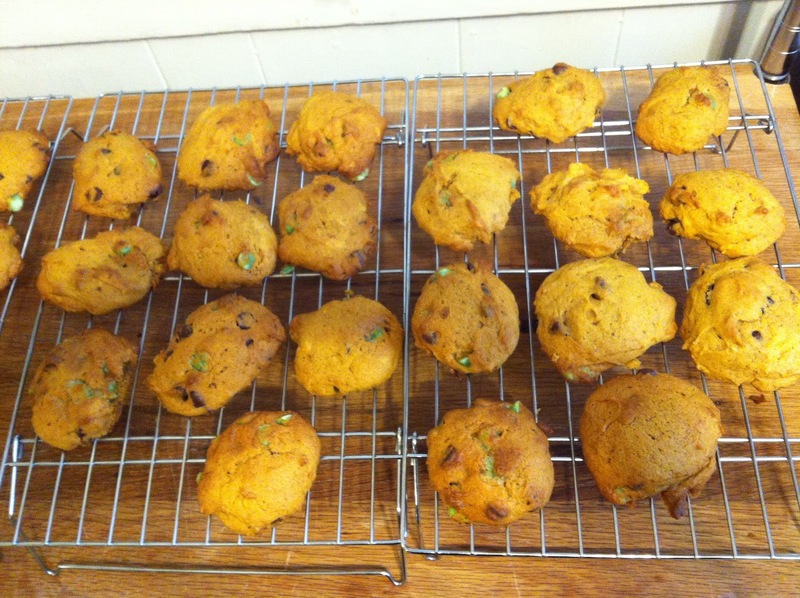 She used our favorite pumpkin chocolate chip cookie recipe. With a new twist. She used a bag of Nestle's holiday morsels (the dark chocolate and mint mix.) Oh- YUM! I think Arlene must have been hungry when she made the cookies, because they're about twice as big as usual. They are SO good. You can make some of your own, just click on the blog archive on the right & find the recipe in a post from January of this year, or click here. The Nestle mixed dark and mint chips are a seasonal thing. I know the local Kroger stores (Kroger, PayLess, Scott's) have them on their baking wall that just went up last week. You can probably find them at your other local grocery store soon as well. Let me just remind you, the dough keeps well, so if you're not wanting to bake them all tonight, you can refrigerate or freeze the rest of the dough for later. Now I know this doesn't *seem* to fit the theme of our blog..but before you say "whatever" and move one, please take a few minutes to read this review, it really does fit. It could be just the answer you or a friend has been praying for! Why, when so many people are distrustful/ aggrivated/ afraid of tax returns would you want to put yourself into the thick of things? Maybe it's your calling, maybe you love figuring out a puzzle, maybe you've always liked numbers...OR... maybe you're looking for a solid, steady income. 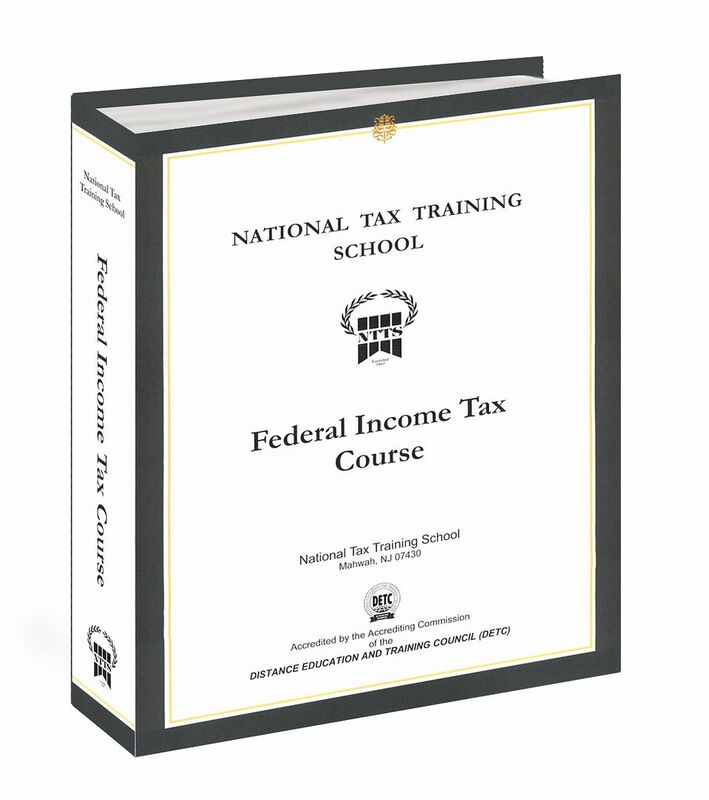 Whatever the reason you might be looking, I want you to know that I've been quite impressed with National Tax Training School (NTTS), based in NJ. So, if you or someone you know might be interested, please read on! Before I get too in-depth on NTTS, let me tell you a little more about why the course appealed to me. I've been doing our tax returns, with the help of tax software, for a few years. Before that we used an accountant. I think I've been doing a decent job, but there is always this part of my brain that wonders, "are there any more deductions we could be taking?" and "just because we didn't get audited, did I really understand what I was doing?" The course is answering both of those. It's helping me understand what the lines on the 1040 mean, not just which number to put there, and as soon as I get to lessons 9 & 10, I'll be scouring the manual for additional deductions I might have been missing. Ok, so you're thinking, "Why aren't you on lesson 9 yet Carol?" Simply put, there is a lot in each lesson. 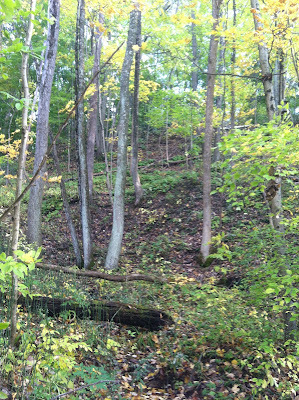 Once you're read & studied the material, there is a self-assessment to take. Once you're satisfied you understand it, then you take the lesson examination. There are options to do this either on paper, which you mail in and your instructor grades, or you can take it online. I really appreciate having the same instructor for all 20 lessons. I like doing the assessment online, but I think I'll continue to do the exams on paper. (I might have just a little test anxiety with online things-LOL!) Lesson 4 was stretching for me. It covers Gross Income Exclusions & Inclusions. I knew nothing about annuities, except that some older people have them, so I had to go through that one 3 times before I felt like I really understood. That took me about 6 hours total. How much time you will spend depends on your past knowledge and reading/ comprehension skills. NTTS recommends you plan 8 hrs of study time per lesson, so feasably, you could finish it in 8 weeks. If you're working at it full time and don't have any life emergencies! The nice thing is that they know a lot of us don't have that much time. Maybe you're working on this only on the weekends, or your day off from your other job, so NTSS gives you one year to complete the course without having to pay extra. They also realize we're not all made of money, so they offer different options on payment. You receive a minimum of two-years of post-graduate services (meaning they send you the updates just before the next tax season begins), but you can opt to pay more and get more. You can opt to receive 4 years of updates, and up to 4 years' worth of consultation/ asking for advice/ clarification help. The basic plan, with one year of updates, paid in full in $495 (installments are also available for a slight increase in fee.) You can choose the 3 year of full support option, starting at $795, or with payments, it can cost up to $840. Truly, $495 is not that much for this kind of training. I know, it's not a quick choice to make, but this is not just a test-prep course, this is real knowledge & understanding. Compare it like this, an inexpensive test-prep course would be the dictionary, this is a full language course, with an instructor/tutor. Have you looked at the cost of college courses recently? Compare this to that. In fact, the NTSS course is transferrable for credits at 1500 colleges and universities. This is some serious stuff! So, who do you know that might want to change careers, earn some serious side money, work from home, and/ or work for about 4-5 months a year & have the rest of the year to spend with their family??? You should send them to NTSS's website, or at least have them read this review! NTSS has a comprehensive website. They are exceptional at what they do, probably because they've been doing this since 1952! They do offer another course for after this one if you're interested in learning how to do more advanced taxes. I think this will be plenty for me. The higher course cover the entire Federal Tax Structure. You can learn more about that here. I've learned a lot already. I explained to my friend about over $14,000 worth of exemptions that she and her husband were not sure about. That was satisfying, helping someone. NTSS says my goal is to help my clients learn how to legally reduce their tax burden. I am becoming empowered to help even more people do that. If you're interested, please get more information, pray, and ask God what He wants you to do, or who He wants you to tell about NTSS. As a member of the Crew, I received the basic Federal Income Tax Course free of charge in exchange for an honest review. All opnions are mine. This morning the moon rose, a little orange cresent in the eastern sky. Perhaps you missed it, you might have been asleep. That doesn't mean it didn't happen, just means you didn't witness it. There it was, like a little orange smile in the sky. First orange, then golden, finally off-white, still smiling. Yet another evidence of God's great love for us. When I saw the moon, it made me smile. I was reminded of Psalm 136, which speaks of God's love enduring forever. How He made the heavens, the great lights, the sun and the moon, and the stars. with my own eyes---I, and not another. How my heart yearns within me!" So the next time you see the moon smiling down on you, or look up and see the stars shining down, remember YOU ARE LOVED! His love endures forever! Was today a beautiful day? Did the sun shine, were the breezes warm, or did it rain? Did you even think of the weather when you read the word beautiful? Was it a God day? 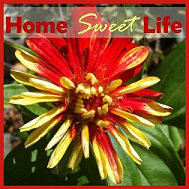 Did you see Him at work in your life, your children's lives, the lives of those around you? Maybe we should update our idea of a beautiful day. There is nothing wrong with thinking of a beautiful day in terms of the weather... but if we are truthful, we focus too much on the weather being beautiful and not enough on the other beautiful things around us. Our children are beautiful, even on days when they don't brush their hair...or their teeth. Want to debate the point? Don't. Go ask a Mom or Dad whose child is in the NICU unit, or struggling against cancer, or asthma. They will tell you that each day their child lives is a beautiful day.Your child is beautiful because they are made in the image of God. Cherish them. Love them, hug them, pray for and with them. Take time to appreciate the wonderful gift God has given you in your children because we are not guaranteed tomorrow. If God wills, I will wake up tomorrow, and my children will too. If God wills, our house will still be standing, and our bills will get paid. BUT, when God's will is different than mine, I can have a hard time finding a beautiful day. I can get wrapped up in the little things, like the brushed hair, instead of focusing on the child and their soul. I can focus on myself, and my plans. Selfishness is NOT a beautiful thing. I can get so busy with the "To-Do" list that I forget to hug my child, or my husband, or forget to pray for them. Let's not just chuck the To-Do's, but let's give our word (and keep it) about looking for something each day that makes it a "Beautiful Day." Let's decide together to trust God's will, to hug our children, to smile into their faces and say "I love you, it's been a beautiful day!" What do you do to encourage your children? How do you help them with difficult subjects? How do you pick what to allow your kids to do online? Where can you turn for an answer for all these questions??? Consider ZooWhiz. 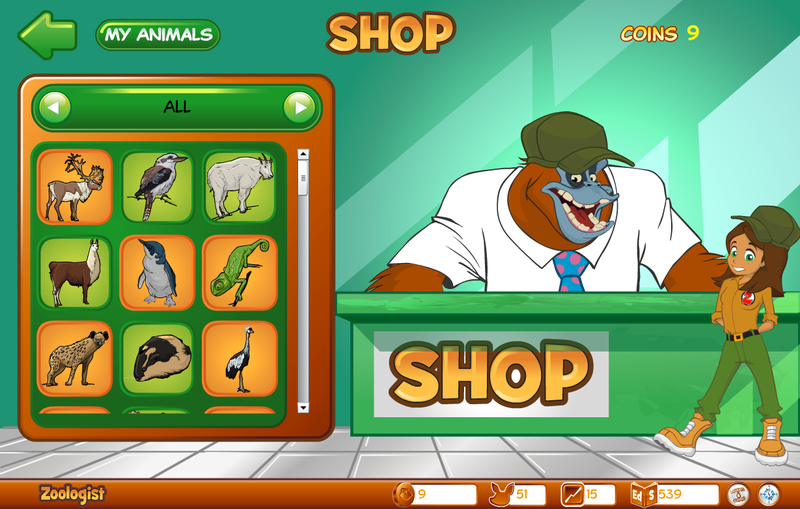 ZooWhiz is an online learning site that combines learning about animals with math, vocabulary, and reading comprehension. While the regular price of $59.95 may seem like a lot for a year of premium online access, ZooWhiz often runs special promotions. Currently you can sign up your child as a Premium Zoologist for a whole year for only $14.95. As a parent, I like the options available in the premium upgrade. Besides the feedback options, there are several animals that are only available to premium members. Soon, you’ll be able to use ZooWhiz’s Premium Integrated Content Selector (PICS) to adjust their activities to focus on the areas where they are still struggling to give them more practice. (All the child sees on their reports are various levels of smiley faces, so the feedback to the child stays positive.) This feature, that is listed as “coming soon for premium members” intrigues me because I’d like to see specifically where Arlene is struggling, and be able to work more on these parts during our other school activities as well to help her get better. Of course, the more unusual animals cost more, but that’s just motivation to go do more learning activities. The other area to visit is the arcade. Now, you can’t spend all your time in the arcade, because first you have to earn coins in Learn & Earn. If you’re wondering what kind of games are available in the premium arcade...think fb type games, but for kids. Can you see how needing to pay 50 coins to play a game could motivate your child to go work on their spelling or math? ZooWhiz has activities for children in developmental ages 5-15. It is a fun, safe learning environment. It appeals to kids, with fun colors, games that seems more fun than learning, and lots of positive feedback. I liked it because you learn in one part and that gets you money to buy animals or play games. I also liked it since you can change the lessons to math, writing, or spelling and the age so that if you have a 4-6 year old they are not doing the 10-15 year old’s work. The premium membership gives you more games, and there are a lot of the cool animals, like mythical creatures, you can’t get unless you’re a premium member. Is this going to be your only resource for your child? 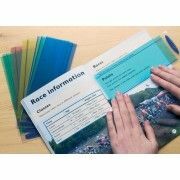 Probably not, but it IS a fun, helpful tool to get your child interested in learning without a lot of tears or pressure. It can be a daily part of your child’s independent learning, or a reward for working on another difficult subject without grumbling. However you choose to use ZooWhiz, I think you’ll like it! I’d also like to say a good word for ZooWhiz’s customer service. They try hard to get back to your queries the following business day. They have a parent tutorial to help you understand what’s what & how to adjust the levels for your child. They continue to add content, so we’re looking forward to a whole year of learning. As members of the TOS Crew, we received a year’s Premium Zoologist account for Arlene for free, in exchange for an honest review. All opinions are ours. Ever since Emily was a preschooler and was diagnosed with atopic dematitis (skin irritation from fabric softener) along with Eczema, we've been careful what we put on our skin. Kurt has had psoriasis since he was a teen, and Emily developed it as well a few years ago. Since we're careful about what we eat, we're doubly careful about what we put on our skin, and we stay as far away from petroleum products as possible. So imagine my delight when a chance came along to review skin care products from a 'natural' company! Now, please remember, just because something is natural, doesn't mean its good for you! After all, arsenic is a naturally occuring compound, but I wouldn't want it anywhere around my family! So, after some peeking into Beeyoutiful's website, I said "pick me, pick me!" Beeyoutiful's goal, as stated on their website is this: "As much as in in our power, we want to aid others in obtaining and maintaining good health." Sounds like a "kindred spirit" to me. We received 4 products, which I'll cover in detail below. If you're running short on time, now's your cue to bookmark this review, you'll want to come back when you have time to read the whole thing well, might I suggest you bring a cup of herbal tea with you? I like the Beeyoutiful products because they work really well, even if used on a semi-regular basis. The body cream, when used often, really does make your skin very soft. And the products don’t smell like house cleaners, they smell natural and wonderful so that you want to use them. I don’t normally like conditioner, but I used a whole bottle of hair shine. 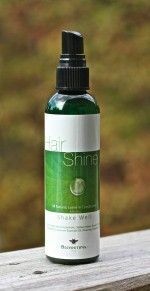 Yes, hair shine is something we'll be re-ordering ! Why do you need to use a toner? Well, even if your cleanser is ph balanced to your skin, your tap water probably is not, so a toner is a great idea. This one has a sprayer with a super-fine mist, which makes it a good choice for either your face or your body. The smell is...wonderful! 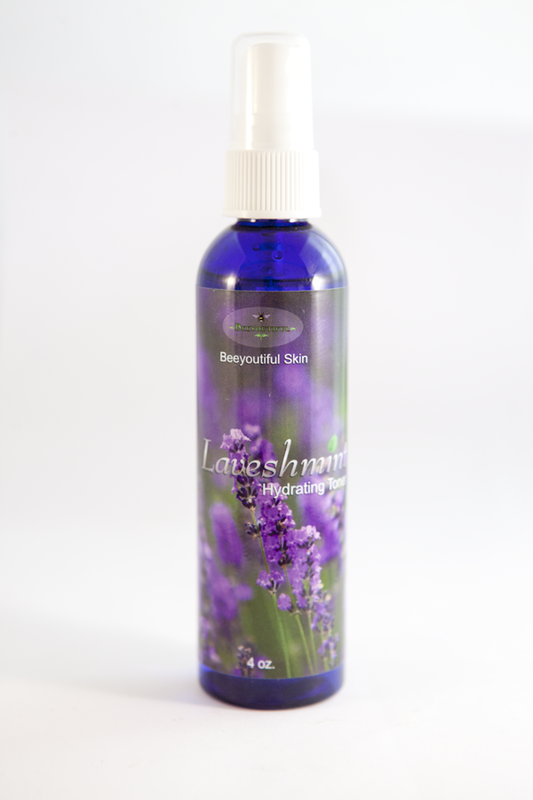 Lavender is MY scent of choice, and since this toner is made with both Lavender and peppermint essential oils, I'm hooked. It also includes organic aloe vera (the skin's all-time favorite healer) and a mild, food-grade preservative. That's another plus to Beeyoutiful's products over some others you'l find at the local health food store, mild preservatives, no petroleum products, and no SLS's (sodium lauryl or laureth sulfates.) At times in the past, even I, whose skin usually isn't sensitive, have had a bad reaction to the preservatives in otherwise "natural" skin care products. In my opinion, the less ingredients, the better. Ever had a product you loved and wished you could give to everyone for their birthdays? This would be that product for me. It takes such a small amount of this moisturizer to make my face feel super-soft that I decided to try it on my legs too. Do you know, how they get all dry and yucky when Fall comes and you're outside in the breeze? This is SO good for hydrating them. I've also used it on my arms, and hands. The smell makes me want to just use it as an airfreshener, but the silky consistency makes me hope the jar will last forever. In a month of using it for my face, I used less than 1/4 of the 4 oz jar, that's superb coverage! 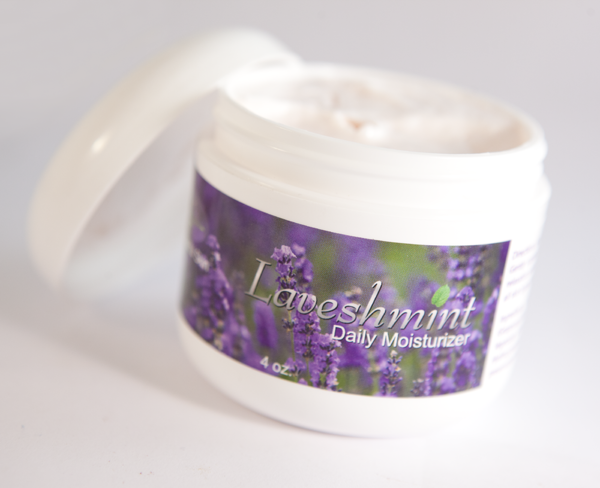 Besides the obvious Lavender and Peppermint essential oils, it contains aloe, coconut oil, grapeseed oil, and vegetable gylcerin. It has more preservatives than the other two products mentioned (although still mild ones) because it is a cream/silk in a jar and needs to not grow any nasties that might get in it from my fingers or the air when I'm getting some out. If you're wanting to treat yourself, go order a jar of this! This is my husband Kurt's new favorite skin care product. (If you read the website, you'll see it's marketed to women, but don't let that stop you from getting it guys!) Kurt has had flare-ups of Psoriasis for as long as I've known him (20+ years.) He head a particularly bad flare up this past Spring, and had 3 patches on his side that just didn't want to go away. Now, back when we got married, Kurt would go to the dermatologist every year, and he's prescribe a pharmacist-mixed concoction of all sorts of steroids and skin conditioners, with warnings about how long Kurt could use them before they's permanantly affect the texture of his skin. Those were scary days sometimes, and all the medicines did was treat the symptoms, not the cause of his Psoriasis. Since then, we've modified his diet several times, and cut out the use of all petroleum based skin procucts, and he has done much better...but these 3 spots just weren't going away. Even after time out in the sun on vacation, they were still there. Then the box from Beeyoutiful arrived- bliss! I asked Kurt if he would help us with the review, he said the other prodcuts were too girly, until he smelled this one. Vanilla-yum, makes me think of sweet rolls with icing every time I use it! So he tried it, daily, on those 3 spots, after a couple weeks, he showed me how much better two of them were, almost gone. After about a month, even the worst spot has almost disappeared. Now for those of you who know my husband, he's a big guy, and has alot of skin, 6'4" worth of it, so daily he would put on his lotion, and them put the body butter on those 3 spots. After a month he hadn't even used 1/4 of the jar- that is amazing! I've used it too, a few times on my heels where they get dry- it works wonderfully. Then more recently, on my fingers and knuckles. 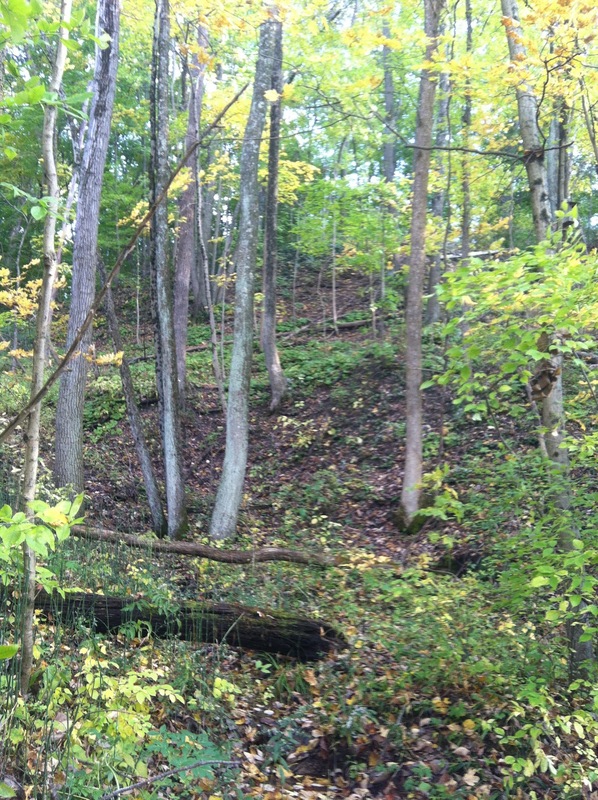 When Fall winds start to blow, I always struggle with my fingers drying out, and sometimes cracking along the sides. Between gardening, baking, and all the other things I do every week, they take a beating. I usually spend the fall and winter months sleeping in cotton gloves to keep the lanolin off my pillow in hopes of saving my hands. This year, I'm going with the body butter. It is more easily absorbed than the lanolin, and not greasy. Like I said before, it makes me thing of sweet rolls with icing when I smell it, not such a bad thing when you're headed off to dream-land. So would I recommend YOU try Beeyoutiful's products- definitely YES! 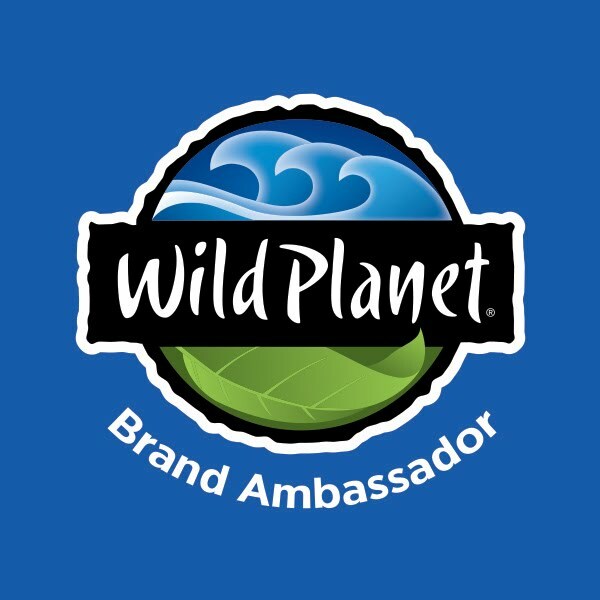 I'll be ordering more of their products myself, let me know which are your favorites once you've tried them! They also have a "wishlist" feature on the website, just in case you find too many new favorites to try all at once. Several other members of the Crew also reviewed products, including some of their "first-aid" type products and their mineral cosmetics. You can read any or all of the other reviews by clicking the banner below. As members of the TOS Crew, we received these 4 full-sized products in exchange for an honest review. All opinions are ours. 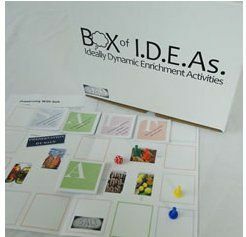 Whether you are a homeschooler who has always loved unit studies, or a parent who is looking for enrichment activities to keep your children from getting bored, or somewhere in between... You should look at a Box of I.D.E.As. The Box we used was the Salt box. Maybe you're not fascinated by salt right now (after using the box you may be!) Feel free to choose a different topic, like World War II, Quilting, Laundry, or Eleven. To find out more about the other topics, visit their website here. So, salt. You may be wondering "What's the big deal?" Well, given a Box, full of 10 different (mostly portable) activities about salt, and all the playing pieces they'll need, and the included dry erase marker, your children will learn all sorts of things about salt. Then they can tell YOU what the big deal is! Maybe their interest will be sparked by the Language of salt, it's history, the Great Wall of China, or the science experiment. Just in case that's not enough, each activity module comes with web links to get you even more information. The Salt Box is a big, white, box. Inside are activities to help you learn about the importance of salt, and instructions on how to use the box. Each activity comes in a zip-lock bag. On the front of the bag is a list of items you will need to do the activity, most of the time all you need is a pen, and inside are papers that talk about the activity and how to do it. You will learn a lot because of the salt facts that are highly involved in each activity. There are card games, board games, and even a science experiment, and there is no order you have to do the activities in, just grab one out of the box and go. I liked that it had things to do with almost all the lessons. Things ranging from card games (having to do with the lesson, but set up like go fish or memory match) to science experiments. I learned that China built the Great Wall with money they made from the salt trade. They had an iron grip on the salt trade. Basically, if you didn’t buy salt from China, you didn’t buy salt. As the Mom, I liked that there was no pre-planning required. Just open the box & choose a zip-top bag. The sticker on the front tells you what's inside, and if you'll need anything else, like a pencil, or a few kitchen items (like water, a freezer, and a measuring cup) for the experiment. Our girls played many of the games multiple times, it really was a fun way to learn about the importance of salt. The boxes are geared for exploration by children ages 9-16, but younger ones could learn with a little extra help from their older siblings or Mom or Dad. I gave the box to our girls and let them choose which activity to do first. The sturdy box is quite helpful too as a great way to corral the bags, and store them on the shelf for use again later. The price of the physical box may make it out of reach for some budgets, but remember, this is not just a quick activity box, so see it for the investment it is. Perhaps you could choose the downloadable version and just print one at a time. Most families should be able to borrow a die and 4 pawn pieces from another game set. So, are you ready to learn more about the history, geography, language, science, and politics of salt? Yes, good! Go visit the Box of I.D.E.As. website (http://www.boxofideas.us/home.php) and start your adventure! Just in case you're wondering...yes, they do include information about my favorite kind if salt, Pink Himalayan! As members of the TOS crew, we received a Box of I.D.E.As.- Salt, for free in exchange for an honest review. All opinions are ours (and we think you'll like it too!) 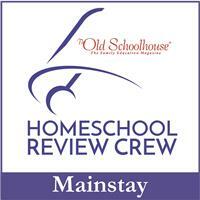 To read other reviews on the Salt Box, or the WWII Box, click the Crew banner below.